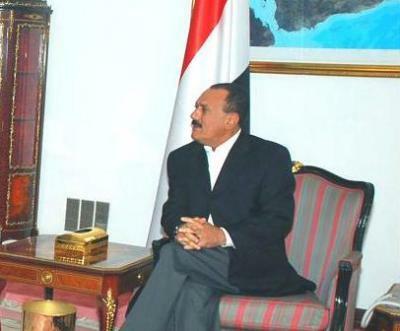 Almotamar.net, Saba - Yemen and the U.S. have signed a grant deal worth $ 259.382 in support for the rural electricity. The deal was signed by minister of Planning and International Cooperation Abdul Karim Al-Arhabi and U.S. ambassador to Yemen Stephen Seche. The President discusses establishment Yemeni-Saudi industrial exchange Co.
Almotamar.net, Saba - President Ali Abdullah Saleh discussed in Sana'a on Sunday with Saudi businessmen the possibility to establish a joint Yemeni-Saudi company to enhance industrial, commercial and agricultural exchange between the two countries. Almotamar.net, Saba - Carnegie Endowment for International Peace, an American organization based in Washington, has urged the U.S. administration to raise its aid offered to Yemen to help it overcome its challenges out of its importance a strategic country in the region.